arts.knet.ca - Welcome to the improved Nishnawbe-Aski Arts, Crafts & Photography website! This website was created for the First Nation artists, crafters and photographers of the Nishnawbe-Aski area to showcase their beautiful creations. cable.knet.ca - This site is designed for all community cable plant technicians. You can access forums about various topics, watch videos about specific areas, and share your stories. If there is anything you would like to see more of please post a comment or start a discussion. servicedesk.knet.ca - The K-Net helpdesk service has seen a steady increase in the number of support calls since it began in 1996. A Service Level Agreement for the telehealth hardware and network services between K-Net and NORTH Network is being put in place. 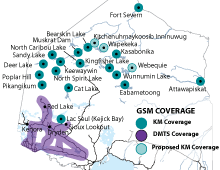 - Keewaytinook Mobile (KM) is the new First Nation owned telecom group delivering GSM cellular and data services in remote and rural communities across northern Ontario. 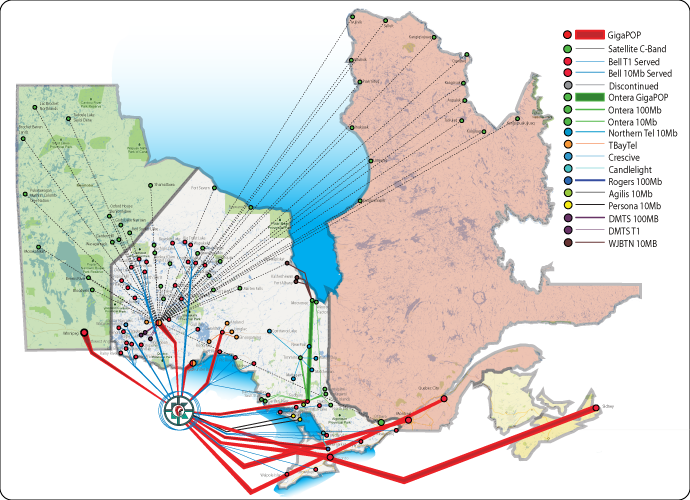 The KM consortium is working in partnership with Keewaytinook Okimakanak's Kuhkenah Network (K-Net) and the other partners included on the PARTNERS page to develop this service. 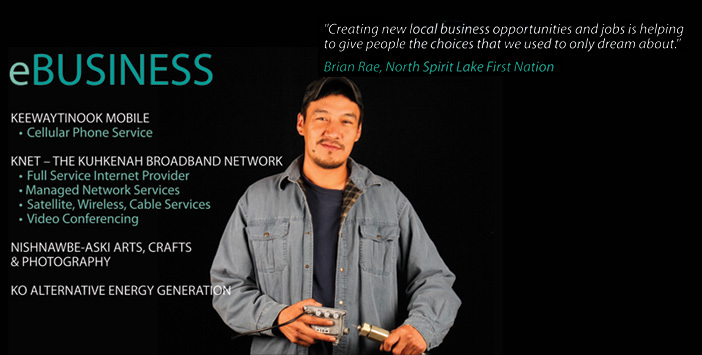 tech.knet.on.ca - Important information and documents about the Kuh-Ke-Nah network. Traffic charts showing real time traffic on selected Kuh-Ke-Nah network nodes are shown.